I really disliked one course in college that I took. It was about Europe's medieval history. The course was taught with a textbook written by the lecturer himself. One main problem was that the printing of the book had so many errors. Paragraphs were misplaced, the sequence was all over the place and almost each page had mistakes. The lecturer spent a great deal of time at the beginning of each lecture showing where the paragraphs should be. And yes, we also paid for the book. With a bad textbook, the course over the entire semester was a disaster. The word “curriculum” has various meanings. The intended curriculum comprises state, district, and school standards that dictate what students are supposed to learn and when they are to learn it and, to some extent, how they are to learn it. The new Common Core State Standards are an example of this. Written curricula are the textbooks that schools and districts choose for teachers, but since teachers vary greatly in their adherence to and usage of textbooks, it is important that we pay attention to the curriculum that they enact. All of these lead to the attained curriculum, a construct for what students actually learn. Reviewing the "enacted curriculum" requires the most effort since it involves observations of individual classrooms. It is for this reason that education reform needs input from the ground. We need to listen to teachers. The "enacted curriculum" may not be identical to the "written curriculum". However, it is important that the "written curriculum" is not flawed. A textbook that has errors creates confusion. Even with good teachers, a bad textbook still places the question of "who is right and who is wrong?" in the minds of the pupils. Should students trust the books more or the teachers in cases where the teacher is suggesting that the book is wrong? Of course, with teachers who are not confident, the textbook may as well be taken as the final authority. Thus, textbooks can influence student learning outcomes. It is imperative that these learning resources are correct. Of course, the first thing I noticed was the presence of several colors. I am not quite sure why colors are relevant to curves. Colors make printing more expensive. I also hope that rainbows are not suggested by these pictures because these images clearly do not contain the right colors in the correct order. 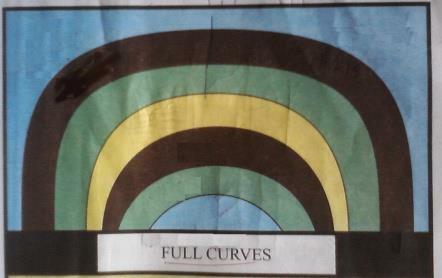 The second thing I notices was that the difference between half and full curves was unclear. Lastly, I was asking myself what the underlying objective was behind teaching first-grade elementary pupils the classification of curves. 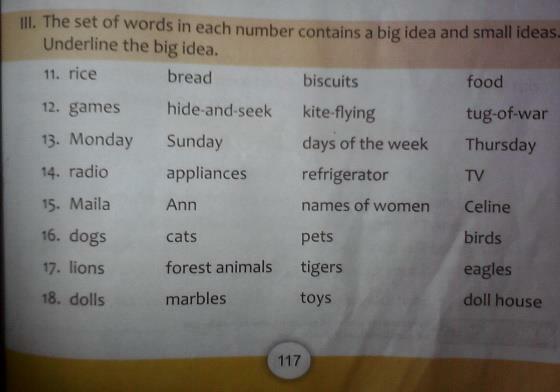 The following shows the test questions. Students are asked to identify the drawing in each box from three choices. The first question already gives me a headache. Half and full curves can be simple curves. 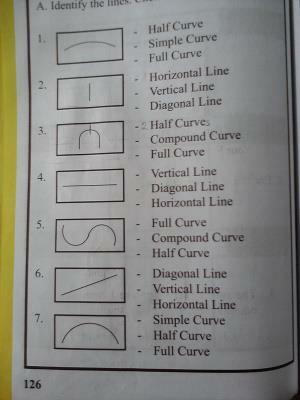 In fact, the only items that do make sense in the above set of questions are those that pertain to lines. Horizontal, vertical and diagonal lines are clearly distinct from each other. Item number five is really problematic since the correct answer is not among the three choices provided since this drawing is a "reverse" curve. 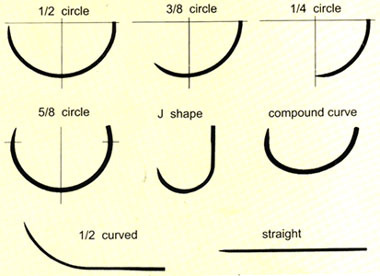 Trying to understand what the above textbook pages and exercises really entail, I looked for examples on the internet that provide a qualitative representation of various types of curves. The following are some examples that I found (surgical needles and road plans). 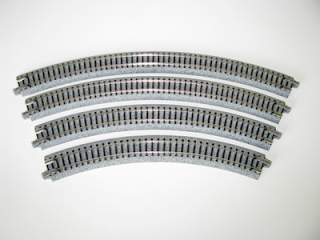 Randall Roberts wrote an interesting article about model train track curves in about.com: "Model Train Track Curves and Minimum Curve Issues". 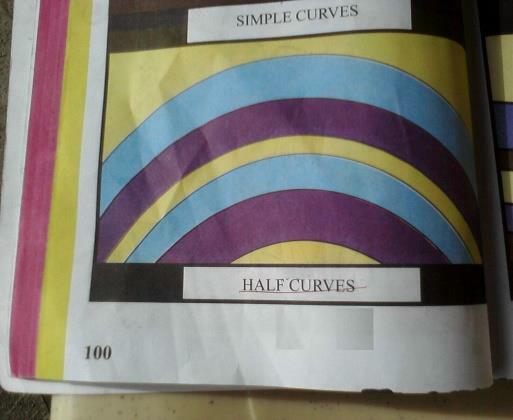 Errors in Philippine textbooks, unfortunately, are not isolated or confined to "curves". The following practice questions are equally terrible. 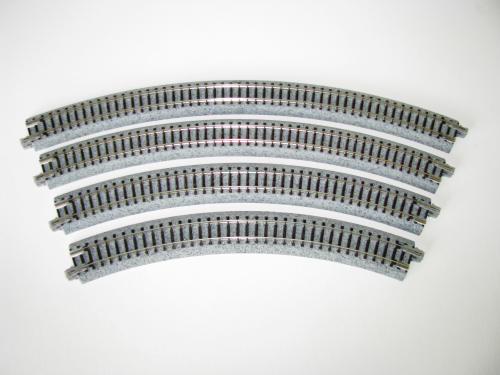 Was the above a simple "layout" problem? Were the set of pictures misplaced? It seemed so but not really. The second row of pictures seems to match the first question since it contains something that looks like a balance. 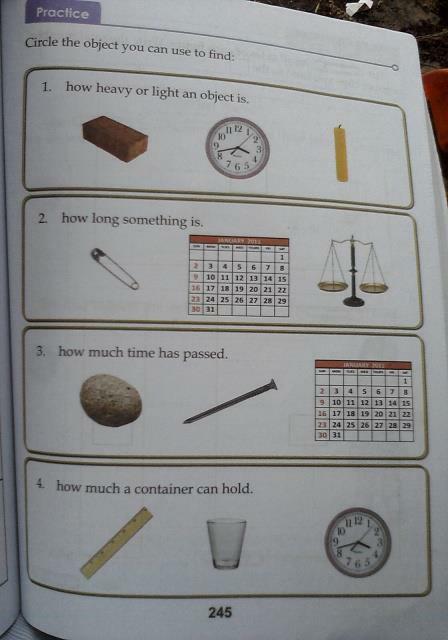 However, the set of images at the bottom seems to be appropriate for questions 2, 3 and 4. Clearly, this was not a simple "layout" error. I was about to think that the above practice question might just be pushing the student to become resourceful. One could use the safety pin, for example, as an improvised unit for measuring length but then again, I should probably just hit my head with the brick from the first set of images. That might just help me figure out if something was heavy or light. I really wonder what students would learn from the above and I am very curious as to how a teacher in the Philippines would actually handle this lesson. Reading likewise has examples. The photo below has Joy's comments written. Using "read" as an example for a word that has a long "e" sound is clearly not a typographical error since "read" is indeed sometimes pronounced with a long "e". 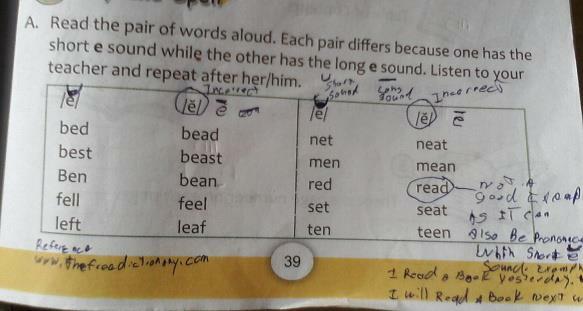 But it failed to consider that "read" is pronounced with a short "e", for example, in the past tense. The example below talks about "big" and "small" ideas. It took me quite some time to figure what is meant by "big" and "small" ideas. 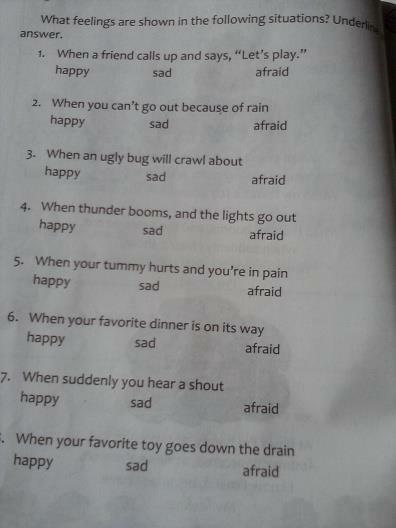 Lastly, the written curriculum in DepEd's K to 12 curriculum seems to imply that people's emotions and reactions are no longer subjective. There must be a correct response and if students mark the wrong one, they will receive poor grades. Students must have the "right feelings".